Pencil drawing scanned and tightened up in Illustrator, initial color blocking as well, output, then gone over using airbrush, ink, marker, chalk and spray paint. Final piece is roughly 15.75-inches by 13-inches on heavy stock. 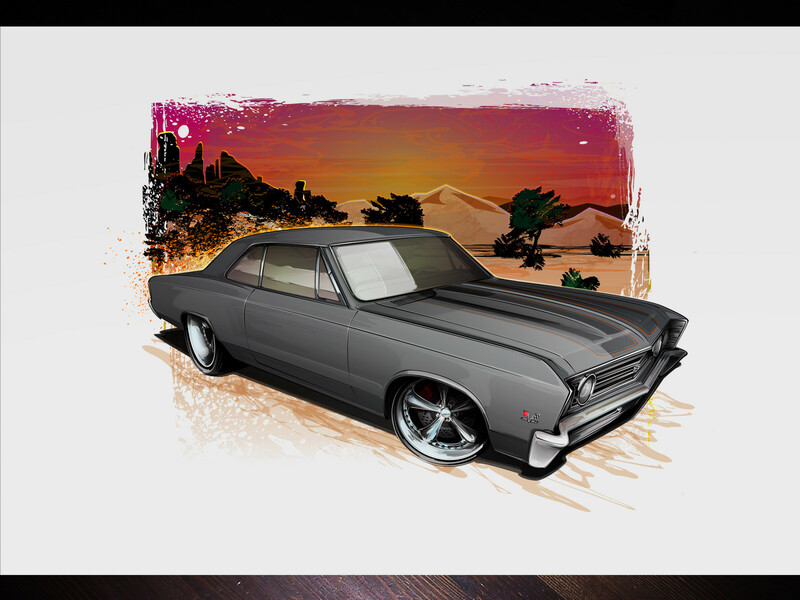 Drawn as a Christmas gift for a friend, this is a concept rendering for a '67 Chevelle project, set in the high desert. Pencils scanned and tightened-up in Illustrator, output, then hit with marker, paint, ink and airbrush.